On Friday the Gutzler family crashed down in a plane crash in Kuttawa, Kentucky on their way back to IL due to engine problems. A girl, Sailor Gutzler was the only survivor of the crash. It was Friday afternoon and Marty Gutzler (The father and pilot) reported engine problems in the plane. 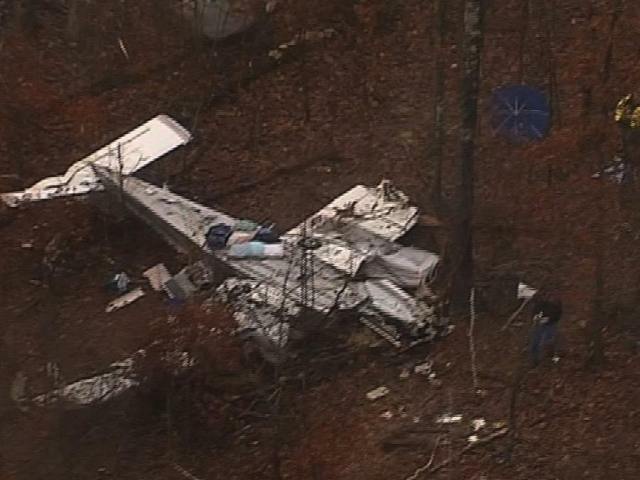 They were redirected to Kentucky Dam State Park and crashed down 10 minutes from the airport. Sailor’s mom, sister, and parents died. This included Marty Gutzler (The father), Kim Gutzler (The mother), Piper Gutzler (The sister), and a relative called Sierra Wilder. The plane landed upside down to a screeching halt. There was a little fire on the side. Sailor Gutzler came out with a broken wrist. “She believed her family was deceased but she hoped they were just sleeping,” Police Lieutenant Brent White said. She tried to light a torch with the fire but it wouldn’t work, so she just went on hiking through the dark, damp woods with clothes meant for Florida. She walked for nearly a mile until she found a house. She faintly knocked on it. The man didn’t hear it but the dogs barked and he came. She was bloody and had many bruises and cuts. She also had a bloody nose and a broken wrist. The man brought her in and called 911. She was able to tell the searchers the general direction in which the plane was. She could tell the investigators what happened and helped them greatly. “Having someone that is a witness [is] always helpful in the investigation, it gives us kind of a story line.” NTBS investigator Heidi Moats said. The bodies were uncovered and arranged for a funeral. She was sent home with her relatives to heal her wounds. Luckily the injuries were minor, and none were fatal. Later, in her hometown, many were rallying support for her and helping her overcome this disaster. Sailor Gutzler was an energetic, cheerful, playful 2nd grader which is very different compared to what she did that night. “I don’t know if any adults would have the wherewithal to do what she did,” Michael Brink said. She definitely was very brave and didn’t panic. Brink and Wietfeldt said the town will do everything it can to help Sailor in the aftermath of the crash. “She will be well taken care of,” Brink said. This entry was posted in Learning and tagged Sole Survivor. Bookmark the permalink.